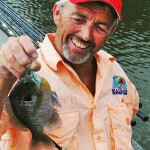 John’s Note: Billy Blakely is the chief guide for Blue Bank Resort (http://www.bluebankresort.com – 877-258-3226) on Reelfoot Lake in northwest Tennessee. 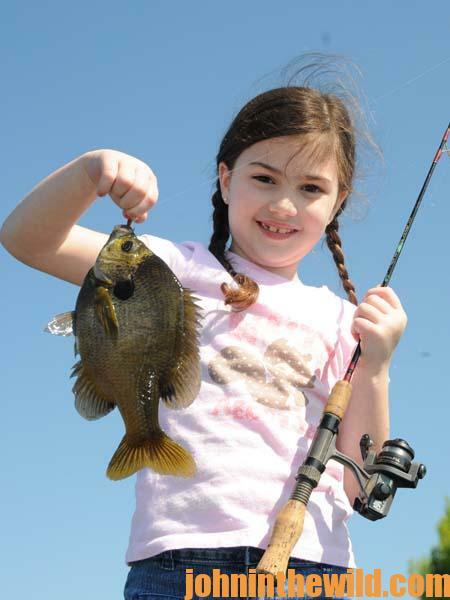 From May through October, Reelfoot is one of the premier bluegill fishing lakes in the nation. 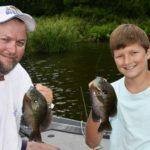 Because he’s been fishing and guiding all his life, Blakely has assumed through the years that he knows where every bluegill bed on the lake is located until recently when technology drastically has changed his ability to find and take bluegills. I use 6-pound-test line and a light wire #6 bream hook that I bend back and forth several times before I bait the hook. I straighten the hook out and bend it back to its original position and then I can pull the hook straight, if my hook gets stuck in a limb or log. 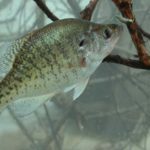 I also like 6-pound line, instead of 2- or 4-pound-test line because when I’m bream fishing I’ll often catch catfish, crappie, drum and bass. If I set a medium-to-light drag on my reel, and I do catch one of those other species besides bream, I can play the fish down, without breaking the line or straightening out the hook. I use an inexpensive slip cork that allows my bait to drop to the specific depth where the bluegills are holding. I also use a #3 shot lead attached to the line about 3-4 inches up from the hook. On an average day, I’ll catch bluegills as shallow as 1-1/2-feet from the bottom to as deep as 6 feet. 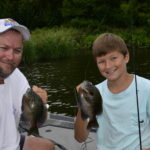 On an average day of bluegill fishing, we’ll catch 50 to 60 bluegills that will weigh an average of about 1 pound. We’ll throw back all of the little bluegills and female bluegills that we’ve caught and only keep the larger male bluegills. 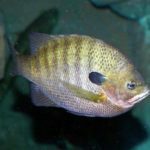 All six of the guides here at Blue Bank Resort are now using side-scanning sonar depth finders to locate beds and catch bluegills. I bait with crickets. 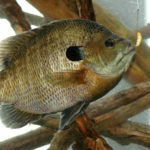 I know that bluegill fishermen like to argue about whether worms or crickets are the most-productive for bluegills, but the reason I prefer crickets is that over the years I’ve discovered that the bigger bluegills seem to like the crickets better. Those bigger bluegills are the ones my customers want to catch. I’ve also noticed that as soon as we start fishing a bluegill bed, we’ll often catch four or five fish that are larger bluegills. 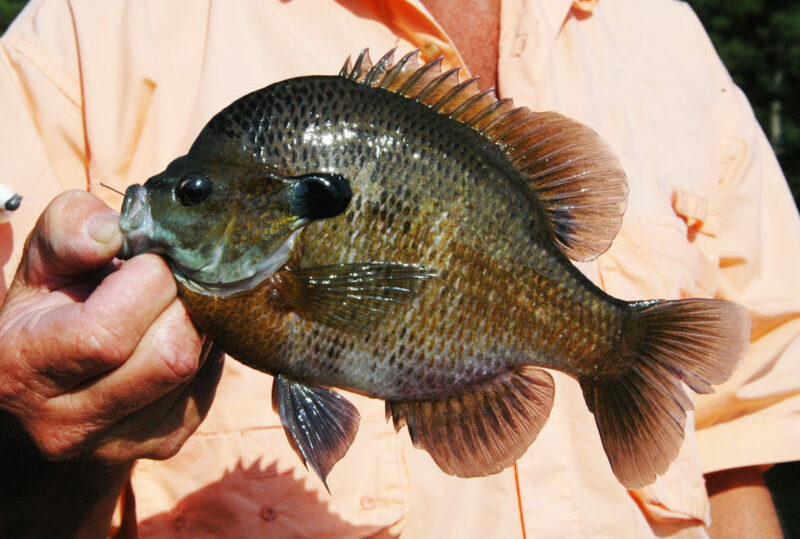 So, when we start catching smaller bluegills, we’ll leave that bed and go fish another bluegill bed that’s close by.